It’s amazing what the powers of botanicals and nutrition can do for certain aspects of health. Some are of invaluable support to subtle health issues like adrenal fatigue (stress burnout) and mild anxiety or depression. But when one also looks at the research, the natural world is capable of even more miraculous healing: reducing the chances of cancer, diabetes, and even heart disease as antioxidants and adaptogens, in some cases. And yet, while such plants are surely helpful for these issues, there are tons of other alternatives and options to help combat these diseases—as well as ways to even reduce the chances of them occurring in the first place. Managing a healthy diet and lifestyle, on the one hand, can reduce the chances of a whole slew of major diseases (particularly diabetes, cancer, and heart disease). The same can apply for mental health issues like anxiety and depression. Plus, these major problems have very solid mainstream treatments in place such as radiation therapy, pharmaceuticals, and surgery to cure or even reduce the chances of them even happening in the first place. But there is an entire category of illnesses out there that people struggle with, and sometimes mainstream methods, diet changes, and lifestyle alterations are of minimal help, while medications can have unwanted side effects. What more: sometimes these issues are triggered for the most part by genetics, and cannot always so easily have the chances reduced with a straightforward healthy lifestyle. These types of health issues are known as autoimmune issues. And one of the most common types of autoimmune disease people suffer from is known as rheumatoid arthritis. Rheumatoid arthritis is just one of many illnesses that result from a confused and dysfunctional immune system. Due to any number of factors that cannot always be determined with each case, the immune system begins to view cells within the human body as enemies or foreign invaders. Out of confusion, the body itself begins creating antibodies against certain tissues to destroy them. The result: pain, inflammation, flare-ups, and most certainly a diminished quality of life. This is what makes rheumatoid arthritis an autoimmune disorder: “auto” means “self,” meaning that it is an immune disorder that causes the body to attack itself. With rheumatoid arthritis specifically, the body creates antibodies that start attacking various joint tissues—particularly the synovial membranes and fluid in these joints. The result is pain and inflammation in one or more joints around the body. Common joints where one can get rheumatoid arthritis (also called RA for short) include the wrists, hands, feet, and lower spine. It’s not uncommon to also experience this kind of arthritis in one’s knees or shoulder. The result: sufferers of RA deal with momentary encounters with limited mobility with that particular joint, often called “flare-ups,” accompanied by intervals of little pain and discomfort. Still, it can be hard to predict when flare-ups will occur and limit one’s quality of life. Those with afflicted wrists and hands may not be able to open cans or jars, type, write, or do other activities, for example. Those with afflicted knees or feet, on the other hand, may have difficulty walking or moving for certain periods of time. HOW IS RA DIFFERENT FROM OTHER KINDS OF ARTHRITIS? Unlike common arthritis—called osteoarthritis—RA’s immune-related beginnings make it a much more difficult issue to treat. 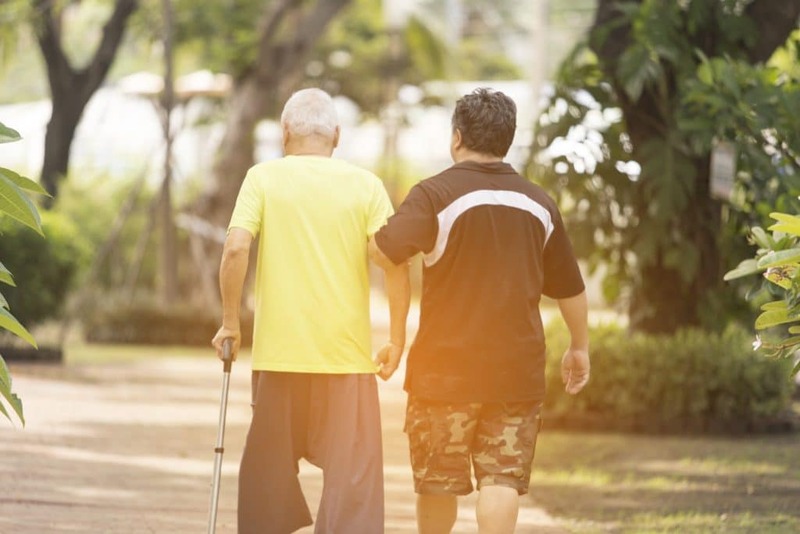 Osteoarthritis happens from simple wear-and-tear within the joints from extensive use or age, and as the body starts to produce less and less synovial fluid (natural joint lubrication) on its own over time. What’s worse: unlike osteoarthritis too, RA can get progressively worse if untreated or unmanaged—sometimes even leading to permanent deformities in the body. And the biggest challenge of all for RA sufferers? Methods for helping osteoarthritis fall short for them. Anti-inflammatories and NSAID’s, like aspirin and ibuprofen, may provide short-term relief for some, but not all—and they certainly don’t make a dent on the more holistic dimension of the issue: the immune system. Though it’s clear that rheumatoid arthritis has an immune basis, the reason why the immune system gets out of whack in the first place is unknown. Research thus far today has a few insights into how the immune dysfunction develops, and then creates autoimmunity in the joints around the body, according to Arthritis.org. Unlike illnesses such as cancer, diabetes, or heart disease—the most major common illnesses—part of the cause for autoimmune conditions like RA could be completely genetically based (and thus uncontrollable), while the above illnesses can be a combination of genetics fueled by lifestyle choices. People with certain genetic markers apparently have a five times greater chance of developing an autoimmune issue like RA in their lifetimes. As such, relatives of people with RA—such as parents or children—are much more likely to develop it too. There has also been a strong connection between rheumatoid arthritis and hormones. Research deems this connection worthy of consideration for RA causes mostly because RA sufferers tend to be women. According to the Arthritis Foundation, about 70% of people diagnosed are female, which could mean that there is some correlation between RA and female hormones estrogen or progesterone. Still, research on this particular cause is still unclear. While genetics, gender, and hormones may set the precedent, studies also show that environmental factors could be the true fuel for the fire that causes autoimmune issues—and eventually RA. For example, emotional stress or trauma may be one cause. Many sufferers of RA report that their symptoms began around the time they experienced a great deal of stress, anguish, or trauma—or even at the same time they developed PTSD (Post Traumatic Stress Disorder). As another environmental factor, diet decisions and gut health could be a part of its development, too. Research and observations among doctors have also discerned that dietary gluten may worsen or lead up to development of RA. Says Amy Meyers, M.D., about gluten and rheumatoid arthritis: “Since the building blocks of gluten share a similar molecular structure with building blocks of many other tissues in [the] body, the immune system can get confused and accidentally attack [one’s] joints and other organs. This process is called molecular mimicry. “I recommend that all of my patients remove gluten from their diets because it’s simply an inflammatory food,” finishes Myers. And research supports this gluten connection, too. A study in 2010—as well as another in 2015—found that the same antigen that attacks gluten in the body can also attack synovial tissue in the joints. As such, there could be one possible way to reduce the chances of RA through the diet: simply by cutting down on gluten and avoiding inflammatory foods as much as possible. Genetics, hormones, and environmental factors (like stress or diet) can potentially lead up to RA—and sometimes the only options sufferers have are synthetic NSAID’s, steroids, or even pharmaceutical drugs with unwanted side effects. But that’s not to say there aren’t natural methods to strengthen health while dealing with the issue. On top of altering one’s diet to avoid gluten and other inflammatory foods, certain herbal remedies have been shown by science to be supportive of the immune system and various symptoms. No natural remedy or herb can fully treat or cure rheumatoid arthritis. But then again, no mainstream medicine—pill, surgery, procedure, or otherwise—can completely cure rheumatoid arthritis either. That’s not to say there aren’t any ways to help manage the symptoms or pain or to even support the body at an autoimmune level. And while mainstream medicine has its own ways to help manage RA symptoms, there are natural options too—some of them even taking RA support a step beyond the norm. Turmeric (Curcuma longa) is more than just a simple curry spice. While it tastes great in Indian food, research also shows that it has surprising benefits for inflammation in the body. A 2012 study showed that turmeric had amazing abilities to reduce symptoms of rheumatoid arthritis and without any side effects or problems in other areas of health. Inflammation, tenderness, and swelling were all reduced as a result. For the pain and inflammation that results from RA first and foremost, turmeric is becoming one of the front-line natural arthritis remedies for helping improve quality of life—as it also benefits pain from osteoarthritis, too. Perhaps the second most promising rheumatoid arthritis remedy: the biblical Boswellia family of trees (specifically Boswellia serrata), more commonly known as frankincense. The resin gums of this Old World tree have been studied extensively for its potent anti-inflammatory effects, including for rheumatoid arthritis. A 2011 review of the plant found that it was successful at relieving RA symptoms, especially when used in combination with ginger, turmeric, and ashwagandha. On its own, frankincense was also mentioned as a potent inflammation fighter, too. If options of the herbal ilk run out for relief, give frankincense a try. Gotu kola (Centella asiatica) is a unique herb that, among plant remedies, holds one of the greatest hopes for RA of all. Namely: it has the potential to both help symptoms while also modulate the autoimmunity that causes them—and all in one fell swoop. And the studies are out there to prove it, too. 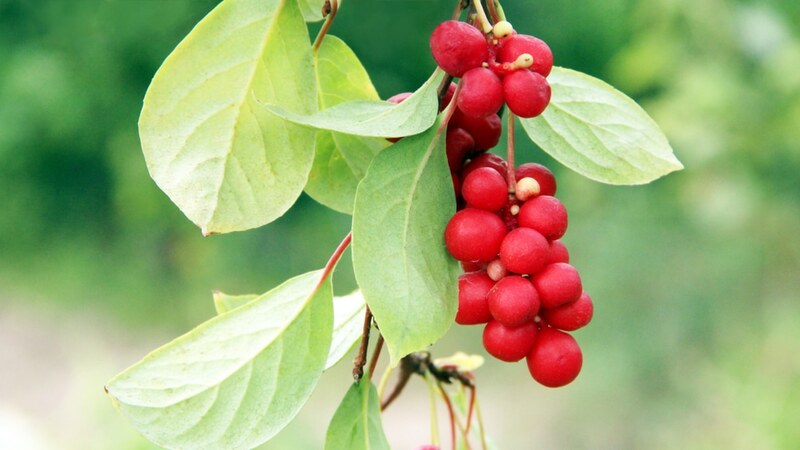 A 2010 review of the Asian herb examined a very promising study on mice that showed its ability to reduce both the symptoms AND severity of RA, apparently through its cellular protection properties as an antioxidant adaptogen. 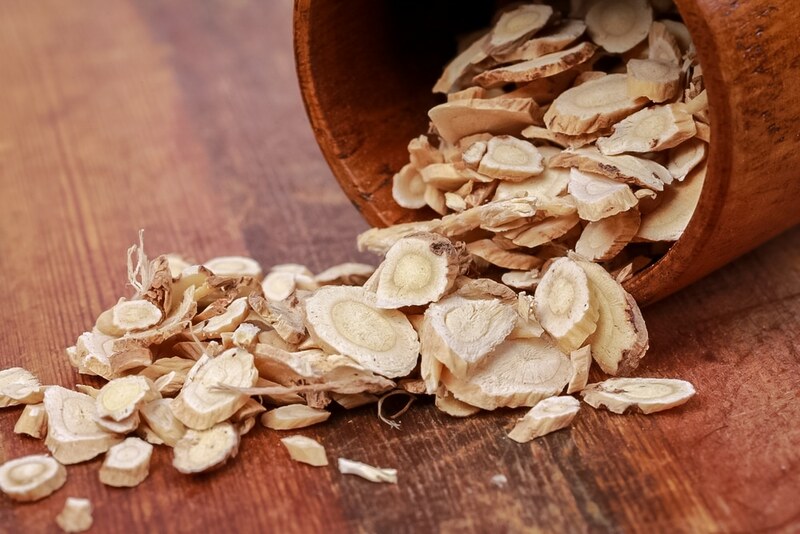 Beyond the straightforward anti-inflammatory herbs like turmeric or frankincense, including a natural remedy to directly help with the underlying immune cause of RA can’t be easily passed up! The research on herbal remedies for rheumatoid arthritis is exciting—and what they’re capable of is even more so. And yet, beyond purely plant-based remedies, medicinal mushrooms and fungi are an even more provocative field for natural RA healing. In fact, many classic healing mushrooms are top candidates for research into healing autoimmune disorders—including rheumatoid arthritis—today. Delicious and nutritious Japanese mushrooms, shiitakes are so much healthier beyond the dietary fiber, natural vitamin D, and vitamin B12 they provide. A 2011 nutrition study on mice found that shiitakes could directly reduce the inflammatory symptoms caused by immune-related arthritis. What more, shiitakes were also included in a 2013 review of mushroom immunomodulators—namely, mushrooms that could help encourage the immune system to act normally. Maitake (also called hen-of-the-woods) mushrooms are favorites among foragers the world over. They may have enough research behind them too soon be popular among RA sufferers, too. A lot of research has been undertaken on maitake’s immune properties, with immune-boosting truly being this fungi’s claim to fame. This includes this 2013 study on maitake demonstrating its immunomodulating properties—that is, its ability to normalize an autoimmune system. While no studies to date have been started on maitake’s direct impact on RA and its symptoms, no doubt this delicious edible is one to try and have on one’s side. Of all medicinal mushrooms, reishi will remain king when it comes to immune protection. In this 2014 review, the colorful fungus was lauded as an anti-arthritic agent as well as an immunomodulator. Hand in hand, these two properties make reishi the perfect ally for supporting RA—especially because it may help both RA symptoms as well as the immune system itself. And as an added bonus: reishi brings the extra benefits of improving memory, reducing the chances of cancer, and even promoting healthy aging. Chaga is another strong contender for immunity, right up there with reishi. Together, chaga and reishi are unbeatable immune boosters. Just like reishi and even maitake, chaga contains powerful antioxidants that can protect cells against free radical damage, as documented in this 2012 review—and this includes the harmful inflammation caused by autoimmune disorders like rheumatoid arthritis. For overall holistic support, nothing beats having medicinal mushrooms like shiitakes but especially maitakes, reishi, and chaga on one’s side. Take advantage of having all three of these RA-supportive mushrooms in our Optimal Immune formula. 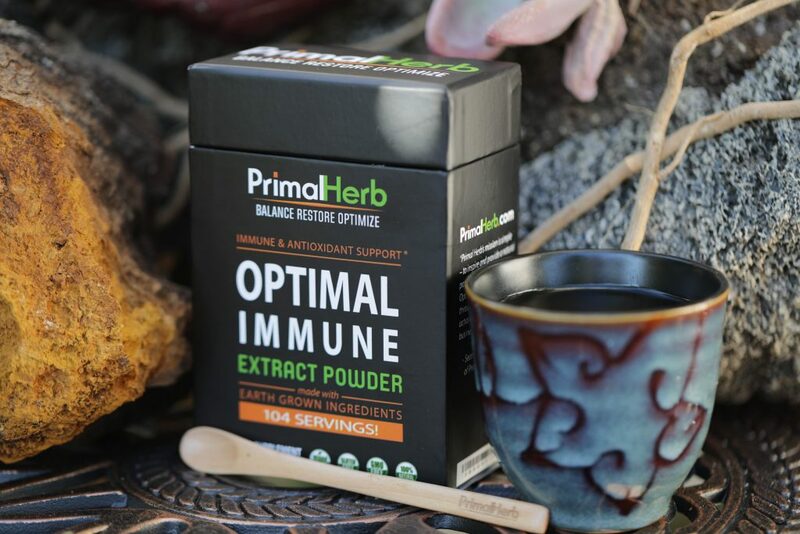 Each herbal ingredient is carefully hand-picked to holistically strengthen the immune system as a supplement—a great help in addition to doctor recommendations, diet changes, and lifestyle enhancements.